How well do you know the Arizona Cardinals? 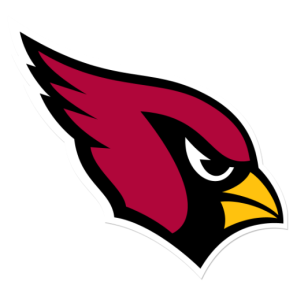 Try our Arizona Cardinals quiz and see how many you can get correct out of 10. 1. In which year were the Cardinals founded? 4. Who is the Arizona Cardinals longest serving head coach (in terms of games)? 5. How did the Cardinals finish the 2014 season? 6. Which was the last season the Cardinals contested the Super Bowl? 7. Who were the opponents the last time the Cardinals played in the Super Bowl? 8. How many NFC Conference Championships have the Cardinals won? 9. Who holds the record for all-time points scored for the Cardinals? 10. In which season did the Cardinals move to the University of Pheonix Stadium? This entry was posted in NFC, NFL and tagged Arizona, cardinals, NFC, NFL, quiz. Bookmark the permalink.